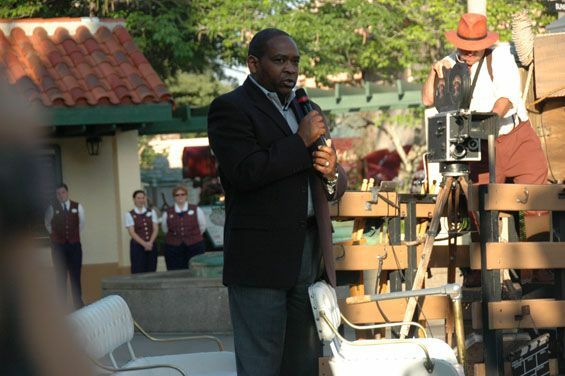 Today marked a milestone at Disney’s Hollywood Studios. It was the anniversary of this Walt Disney World Theme Park. In typical Disney style they held a special rope drop today. 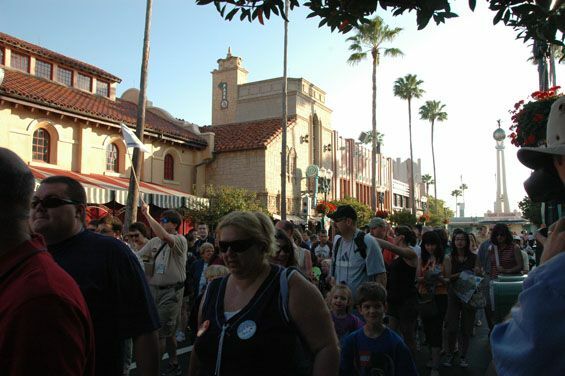 It seemed to me that the crowd was much larger for the rope drop today. 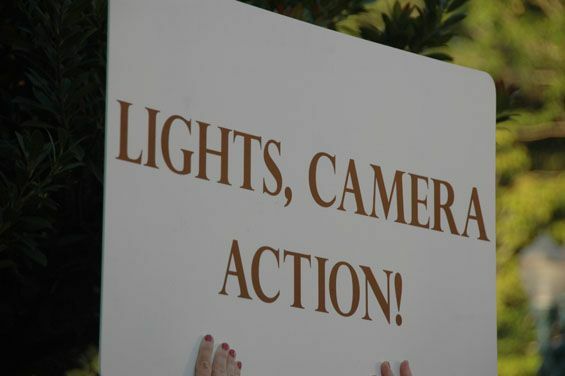 They had a “director” come out and direct the crowd scene for the opening. He introduced one of his stars. 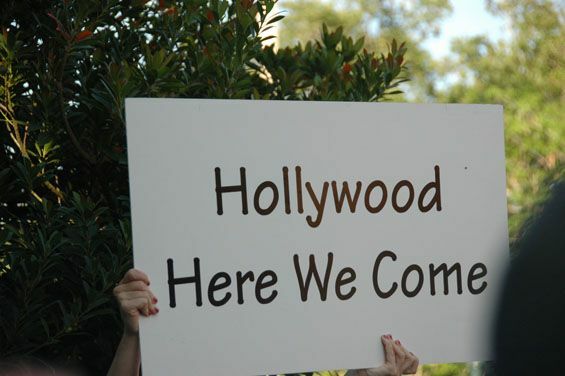 She held the cue cards with the words for the audience to shout out when they yelled Take 1. 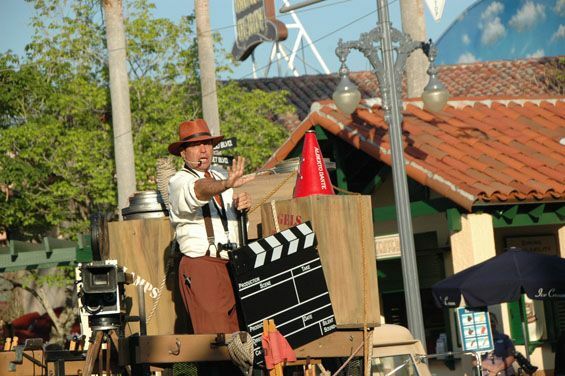 The head of Hollywood Studios came out in a vintage vehicle and talked about how the park has changed over the last 20 years. Finally the directory directed us to enter the park and enjoy it. The race was on for everyone to hit their favorite rides. I couldn’t believe the fast pass line at Toy Story Mania. We quickly got ours and headed off to enjoy the ride. 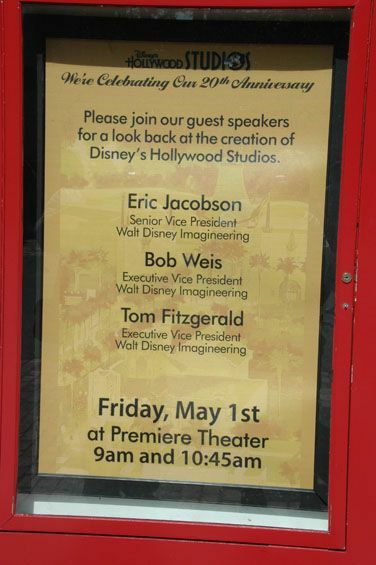 They also had a great talk with 3 Executive Vice Presidents of Walt Disney Imagineering in the Premiere Theatre. 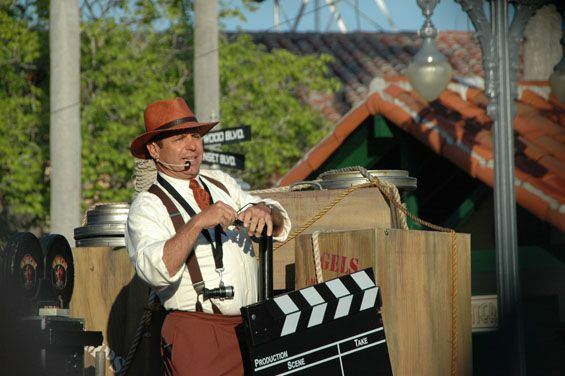 They were responsible for many of the original attractions and the themeing when the park was being built. There was a long line of people waiting to enter the theatre. We weren’t allowed to photograph or video the talk. If you are a Disney “geek” you were in heaven listening to these 3 gentlemen. They showed many pictures of the park as they were building it. We also got to see the building in California that inspired the ones in Florida. I never realized how many of these buildings existed that Disney borrowed from. I can’t wait to do more reading about the early days of Hollywood Studios. 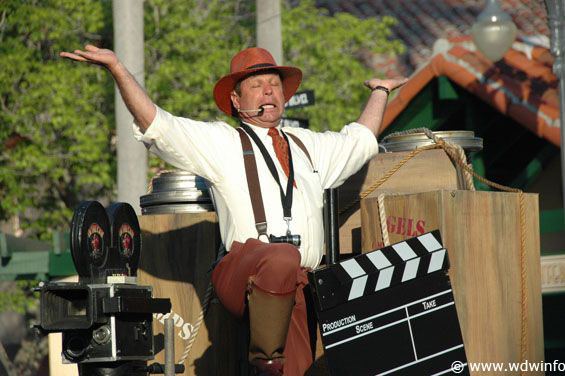 I thought I knew alot about the trivia of Hollywood Studios but I learned I didn’t know as much as I thought I did. They started off the talk by asking if anyone in the crowd was there on their first visit. No one raised their hand. That got a chuckle from the audience. When the one Imagineer mentioned he didn’t like the hat in front of the Great Movie Ride the crowd loudly agreed with him. 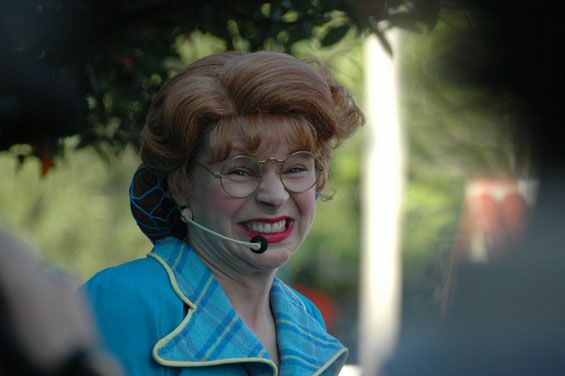 They talked about how they had to approach different movie stars to use their likeness in the parks. They started with John Wayne and once they had him it was easier to get more movie stars onboard with Disney. It was amazing watching the details as they created the Wizard of Oz scene in the Great Movie Ride. It was all created in California and then disassembled and ship to Florida for the new theme park. They also added some special exhibits and videos in the One Man’s Dream display to celebrate the 20 year anniversary. I had a great time and wish you could have all been there to enjoy it with me.